Security is a top priority for school officials and community leaders. An experienced security provider should conduct a site survey to identify and evaluate vulnerabilities. Experienced security providers are versed in industry best practices and can integrate recommendations from law enforcement, fire marshals, and other government entities. Ideally, surveys are performed on a scheduled basis to uncover vulnerabilities before an incident can occur. The security provider must understand the school’s anticipated risks before a solution is introduced. 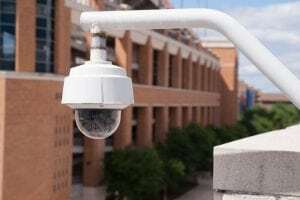 A high school with limited existing security, for example, may be concerned about break-ins, while a school with an existing access control system may want to refine their after-hours protocols. Each school is unique, but every school has exiting risks, regardless of their current security capabilities. A comprehensive site survey will ensure that a unified solution is put in place. If a solution is already in place, regularly scheduled site surveys will mitigate new risks and introduce new and improved technologies to replace legacy devices and software. There’s not a one-size-fits-all technology solution that will guarantee safety. However, experienced security organizations offer an excellent advantage. A security professional can visit your school to collaborate with administrators, security staff, IT departments, and other key stakeholders. The resulting plan will be a tailored and comprehensive security solution.